What theory should I post about next? Poll closed Aug 23, 2016 . Could that mean Ephemera's Keyblade turned into the Kingdom Key? Why would all keyblades be the Starlight at some point? I don't recall that ever being said. And why would Ephemer have the Kingdom Key? Do you have some bases for this? I post theories I find floating around. So this is not my theory. 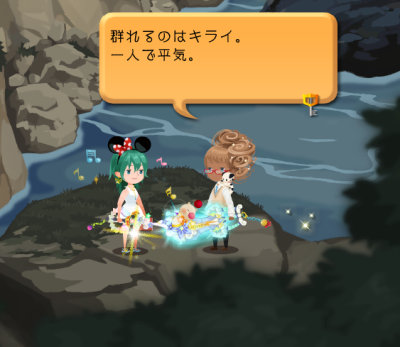 But Chi shows that all Keyblade users started off with a Starlight, leaving out the Foretellers and Luxu. And Ephemera easily could have awoken his Keyblade to turn it into The Kingdom Key. And it would be an interesting way to connect the Daybreak Duo with Sora, but doing that is a missed opportunity to expand on the importance of that Keyblade. In particular, a Keyblade used Riku's Soul Eater blade as a base for it. And The Kingdom Key is pretty basic. The explanation I gave for Xera, does that work out fine? It's a pretty weak theory. Let me start off by saying: Please try not to double post. Instead, use the Edit-Button. N-no, it does not. "could have awoken his Keyblade to turn into The Kingdom Key" <- How exactly? We don't even know if the Starlight and the KK are related. Theory? It's just a what-if scenario. There's not enough here to even pick apart. I figure that the KK is the most basic form of a Keyblade, given how all Keyblades were modeled off of the X-Blade, which has two KK's featured very prominently in its design. Everyone gets a Starlight blade because... stars! 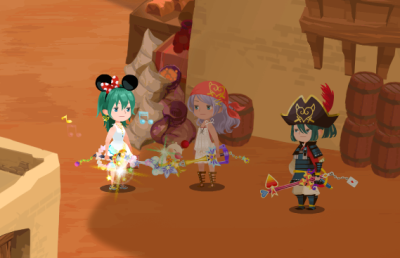 Every single event of Chi is taking place in Daybreak Town, stuffed with star imagery, so we needed a local blade to match. ... I think what I'm trying to say is that there isn't a major story reason for this yet. At least nothing that could be justified by an argument stronger than "what if" or "maybe." Oh, I want to say this. After the X-Blade, all Keyblades are have been made by mankind (aka they were artificial), trying to recreate the X-Blade iirc. So how is it possible for all the Keyblades to be Starlights at one point? And I like to stick with the explanation that all Kingdom Keys, are created by the Realms themselves. Only way to explain it, or they are fragments of the X-Blade, but I will touch upon that theory later on. The most mysterious Keyblades are the Kingdom Keys, they seem to be made in a completely different way. what? All Kingdom Keys? You act as if there were a bunch of 'em. What are you even talking about? It is already known that the KK is the Keyblade of the RoL (or, at least, that's what it was supposed to, since Nomura only had planned 3 Keyblades or something), with the KKD being the Keyblade of the RoD. Because saying all is faster than saying three. I am repeating this. There only are two KKs. One being the Kingdom Key, and the other one being the Kingdom Key D.
One belongs to the RoL, the other to the RoD. Then tell us that. You are literally saying this for the first time. And frankly, I don't think there is enough to assume that? What makes you assume that? I just… don't get it. RoL has one, RoD has one, so why can't RoI? Is that your only reasoning? Is that your only explanation? No, that is not a mysterious one. Terra picks up the KK, foreshadowing that he is still in the RoL. Aqua picks up the KKD, foreshadowing that she will be in the RoD. And Ven picks up the WttD, foreshadowing that he stays in the RoI.